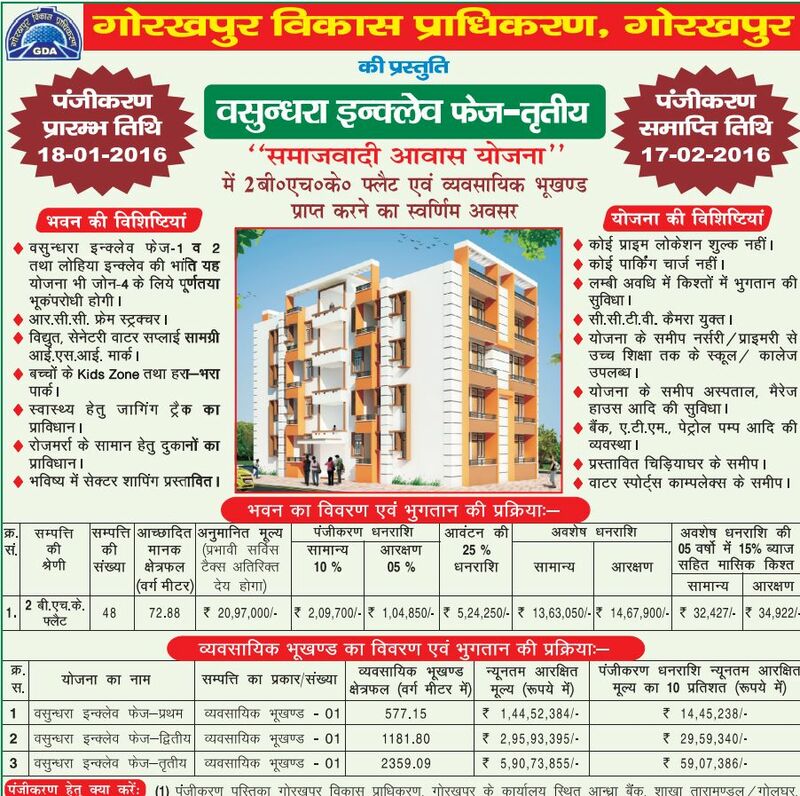 On Independence day Gorakhpur Development Authority(GDA) has launched Vaishali residential scheme where 152 plots are available :38 LIG, 101 EWS plots. 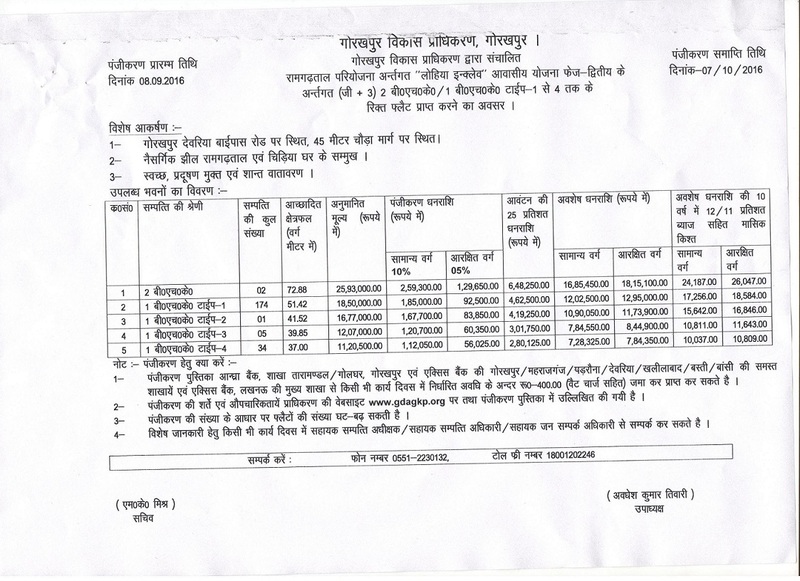 Gorakhpur Development Authority invites applications for sale of 2/3 BHK Apartments. 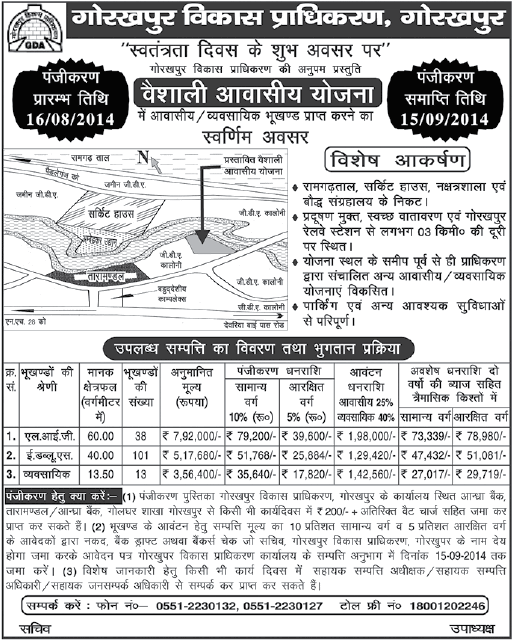 Registeration starts from 11th November, 2013 and ends on 20th December, 2013.